NEW BRITAIN — The political pundits who had their money on Mayor Erin Stewart challenging Elizabeth Esty for her seat in Congress this fall found themselves swiftly defeated Sunday. In an eight-minute appearance on WFSB-TV’s “Face the State,” Stewart did, however, leave the door open to a gubernatorial run in two years. 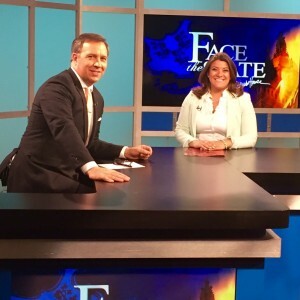 She told host Dennis House she is confident she could serve as Connecticut’s chief executive but has not put a great deal of consideration into a strategy leading to the Capitol. The only political objective she has for certain is seeking a third term as mayor in 2017. Stewart did not — and was not asked to — endorse a presidential candidate. House and Stewart also discussed the city’s economic outlook, capital improvements endeavors and the mayor’s support of CTfastrak. House pointed out that she was one of the few state Republicans to back the controversial busway. Stewart detailed the construction and redevelopment projects around the bus line into the central business district, work that she said inspires new business. She told House corporations as well as mom-and-pops have been drawn to the Hardware City and in the last year, 34 new businesses have established themselves in the city, creating over 600 new jobs. “People want to invest in cities that are investing in themselves,” said Stewart.